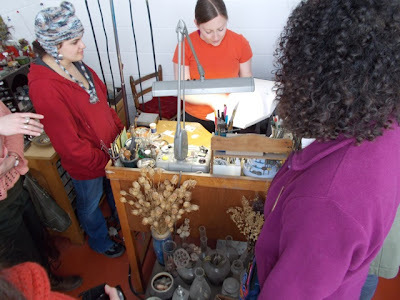 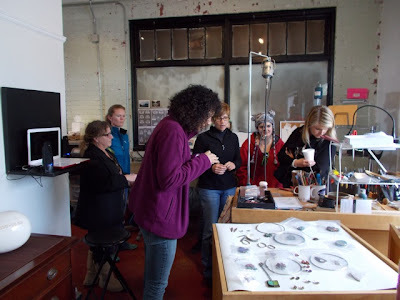 We recently visited three local jewelers in their studios: Angela Bubash, Deb Karash, and Stacey Lane. 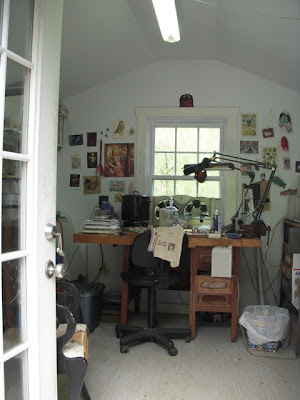 I think it's good for students to see where and how artists work. 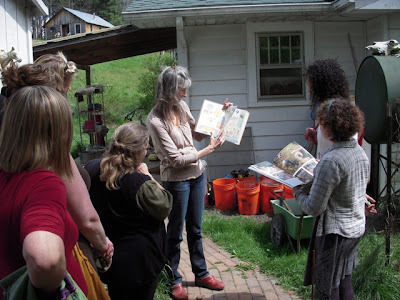 Angela's studio is in her home, Deb's studio is located away from her home, and Stacey's studio is in a small building in her backyard. Each woman had great things to say about being a working jeweler, they explained their processes, and talked about juggling busy schedules and their work.